For other uses, see Harry Hopkins (disambiguation). 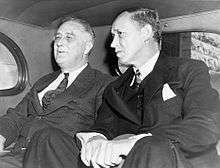 Harry Lloyd Hopkins (August 17, 1890 – January 29, 1946) was one of Franklin Delano Roosevelt's closest advisers. He was one of the architects of the New Deal, especially the relief programs of the Works Progress Administration (WPA), which he directed and built into the largest employer in the country. In World War II, he was Roosevelt's chief diplomatic adviser and troubleshooter and was a key policy maker in the Lend-Lease program that sent an eventual $50 billion aid to the Allies; Winston Churchill devotes in his memoirs to this "natural leader of men" who had "a flaming soul" a veritable panegyric. Hopkins dealt with "priorities, production. political problems with allies, strategy—in short, with anything that might concern the president." Hopkins was born at 512 Tenth Street in Sioux City, Iowa, the fourth child of four sons and one daughter of David Aldona and Anna (née Pickett) Hopkins. His father, born in Bangor, Maine, ran a harness shop (after an erratic career as a salesman, prospector, storekeeper and bowling-alley operator), but his real passion was bowling, and he eventually returned to it as a business. Anna Hopkins, born in Hamilton, Ontario, had moved at an early age to Vermillion, South Dakota, where she married David. She was deeply religious and active in the affairs of the Methodist church. Shortly after Harry was born, the family moved successively to Council Bluffs, Iowa, and Kearney and Hastings, Nebraska. They spent two years in Chicago and finally settled in Grinnell, Iowa. Hopkins attended Grinnell College and soon after his graduation in 1912 took a job with Christodora House, a social settlement house in New York City's Lower East Side ghetto. In the spring of 1913, he accepted a position from John A. Kingsbury of the New York Association for Improving the Condition of the Poor (AICP) as "friendly visitor" and superintendent of the Employment Bureau within the AICP's Department of Family Welfare. During the 1915 recession, Hopkins and the AICP's William Matthews, with $5,000 from Elizabeth Milbank Anderson's Milbank Memorial Fund, organized the Bronx Park Employment program, one of the first public employment programs in the U.S. In 1915, New York City Mayor John Purroy Mitchel appointed Hopkins executive secretary of the Bureau of Child Welfare which administered pensions to mothers with dependent children. Hopkins at first opposed America's entrance into World War I, but, when war was declared in 1917, he supported it enthusiastically. He was rejected for the draft because of a bad eye. Hopkins moved to New Orleans where he worked for the American Red Cross as director of Civilian Relief, Gulf Division. Eventually, the Gulf Division of the Red Cross merged with the Southwestern Division and Hopkins, headquartered now in Atlanta, was appointed general manager in 1921. Hopkins helped draft a charter for the American Association of Social Workers (AASW) and was elected its president in 1923. In 1922, Hopkins returned to New York City where the AICP was involved with the Milbank Memorial Fund and the State Charities Aid Association in running three health demonstrations in New York State. Hopkins became manager of the Bellevue-Yorkville health project and assistant director of the AICP. In mid-1924 he became executive director of the New York Tuberculosis Association. During his tenure, the agency grew enormously and absorbed the New York Heart Association. In 1931, New York Governor Franklin D. Roosevelt named R. H. Macy's department store president Jesse Straus as president of the Temporary Emergency Relief Administration (TERA). Straus named Hopkins, then unknown to Roosevelt, as TERA's executive director. His efficient administration of the initial $20 million outlay to the agency gained Roosevelt's attention, and in 1932, he promoted Hopkins to the presidency of the agency. Hopkins and Eleanor Roosevelt began a long friendship, which strengthened his role in relief programs. In March 1933, Roosevelt summoned Hopkins to Washington as federal relief administrator. Convinced that paid work was psychologically more valuable than cash handouts, Hopkins sought to continue and expand New York State's work-relief programs, the Temporary Emergency Relief Administration. He supervised the Federal Emergency Relief Administration (FERA), the Civil Works Administration (CWA), and the Works Progress Administration (WPA). Over 90% of the people employed by the Hopkins programs were unemployed or on relief. He feuded with Harold Ickes, who ran a rival program—the Public Works Administration—which also created jobs but did not require applicants to be unemployed or on relief. FERA, the largest program from 1933 to 1935, involved giving money to localities to operate work relief projects to employ those on direct relief. CWA was similar, but did not require workers to be on relief in order to receive a government sponsored job. In less than four months, the CWA hired four million people, and during its five months of operation, the CWA built and repaired 200 swimming pools, 3,700 playgrounds, 40,000 schools, 250,000 miles (400,000 km) of road, and 12 million feet of sewer pipe. The WPA, which followed the CWA, employed 8.5 million people in its seven-year history, working on 1.4 million projects, including the building or repair of 103 golf courses, 1,000 airports, 2,500 hospitals, 2,500 sports stadiums, 3,900 schools, 8,192 parks, 12,800 playgrounds, 124,031 bridges, 125,110 public buildings, and 651,087 miles (1,047,823 km) of highways and roads. The WPA operated on its own, and on selected projects in cooperation with local and state governments, but always with its own staff and budget. Hopkins started programs for youth (National Youth Administration) and for artists and writers (Federal One Programs). He and Eleanor Roosevelt worked together to publicize and defend New Deal relief programs. He was concerned with rural areas but increasingly focused on cities in the Great Depression. Before Hopkins began to decline from his struggle with stomach cancer in the late 1930s, FDR appeared to be training him as a possible successor. 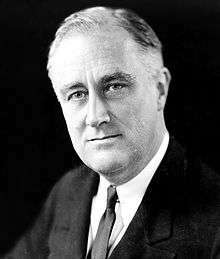 With the advent of World War II in Europe, however, FDR himself ran again in 1940, winning an unprecedented third term. On May 10, 1940, after a long night and day of discussing the German invasion of the Netherlands, Belgium, and Luxembourg that had ended the so-called "Phony War", Roosevelt urged a tired Hopkins to stay for dinner, and then the night, in a second-floor White House bedroom. Hopkins would live out of the bedroom for the next three-and-a-half years. During the war years, Hopkins acted as Roosevelt's unofficial emissary to British Prime Minister Winston Churchill. In January 1941 Roosevelt dispatched Hopkins to assess Britain's determination and situation. Churchill escorted this important visitor all over the United Kingdom. Before he returned, at a small dinner party in the North British Hotel, Glasgow, Hopkins rose to propose a toast. "I suppose you wish to know what I am going to say to President Roosevelt on my return. Well I am going to quote to you one verse from the Book of Books ... 'Whither thou goest, I will go and where thou lodgest I will lodge, thy people shall be my people, and thy God my God.'" Hopkins became the administrator of the Lend-Lease programme, under which the United States gave or loaned to Free France, the United Kingdom, China, and other Allied nations food, oil, and materiel including warships, warplanes and weaponry in exchange for leases on army and naval bases in Allied territory. Hopkins had a major voice in policy for the vast $50 billion Lend-Lease program, especially regarding supplies, first for Britain and then (upon the German invasion) the USSR. He went to Moscow in July 1941 to make personal contact with Joseph Stalin. Hopkins recommended, and the president accepted, the inclusion of the Soviets in Lend Lease. 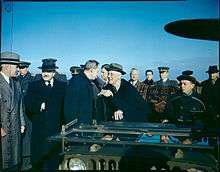 He then accompanied Churchill to the Atlantic Conference. Hopkins promoted an aggressive war against Germany and successfully urged Roosevelt to use the Navy to protect convoys headed for Great Britain before the U.S. entered the war in December 1941. Roosevelt brought him along as advisor to his meetings with Churchill and Stalin at Cairo, Tehran, Casablanca in 1942-43, and Yalta in 1945. Harry Hopkins talks with President Franklin Delano Roosevelt at Saki before setting out to Yalta. He was a firm supporter of China, which received Lend-Lease aid for its military and air force. Hopkins wielded more diplomatic power than the entire State Department. Hopkins helped identify and sponsor numerous potential leaders, including Dwight D. Eisenhower. He continued to live in the White House and saw the president more often than any other advisor. In mid-1943, Hopkins faced a barrage of criticism from Republicans and the press that he had abused his position for personal profit. One congressman asserted on the House floor that British media tycoon Lord Beaverbrook had given Hopkins' wife Louise $500,000 worth of emeralds, which Louise denied. Newspapers ran stories detailing sumptuous dinners that Hopkins attended while making public calls for sacrifice. Hopkins briefly considered suing the Chicago Tribune for libel after a story that compared him to Grigory Rasputin, the famous courtier of Tsar Nicholas II of Russia, but was dissuaded by FDR. Although Hopkins' health was steadily declining, Roosevelt sent him on additional trips to Europe in 1945; he attended the Yalta Conference in February 1945. 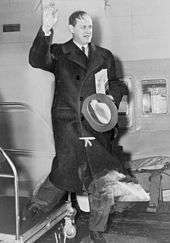 He tried to resign after Roosevelt died, but President Harry S. Truman sent him on one more mission to Moscow. Hopkins had three sons who served in the armed forces during the war, Robert, David and Stephen. Stephen was killed in action serving in the United States Marine Corps, during the landing on Kwajalein Atoll in the Pacific Theater. Hopkins was the top American official assigned to dealing with Soviet officials during World War II. He interfaced with Soviet officials ranging from the middle ranks to the very highest, including Stalin. Anastas Mikoyan was Hopkins' counterpart with responsibility for Lend-Lease. He often explained Roosevelt's plans to Stalin and other top Soviet officials in order to enlist Soviet support for American objectives - an endeavour that met with limited success. A particularly striking example of bad faith was Moscow's refusal to allow American naval experts to see the captured German experimental U-boat station at Gdynia and thus help the protection of the very convoys that carried Lend-Lease aid. In turn, Hopkins passed on Stalin's stated goals and needs to Roosevelt. As the top American decision maker in Lend-Lease, he gave priority to supplying the Soviet Union, despite repeated objections from Republicans. As Soviet soldiers were bearing the brunt of the war, Hopkins felt that American aid to the USSR would hasten the war's conclusion. Hopkins continued to be a target of Republican attacks even after his death. George Racey Jordan testified to the House Un-American Activities Committee in December 1949 that Hopkins passed nuclear secrets to the USSR. While Democrats dismissed Jordan’s testimony, Republicans championed it. Jordan later self-published a book making detailed accusations about Hopkins' alleged secret-passing; but Roll points out that at the time Jordan claimed to have met with Hopkins in Washington regarding uranium shipments, Hopkins was in intensive care at the Mayo Clinic in Minnesota. Roll further notes that in 1963 the FBI concluded that Jordan's allegations could not be substantiated, adding that Jordan "either lied for publicity and profit or was delusional." It is likely that any Soviets who spoke to Hopkins would have been routinely required to report the contact to the NKVD, the Soviet national security agency. Mark (1998) says that some Soviets, such as master-spy Iskhak Akhmerov, thought Hopkins was pro-Soviet, while others thought he was not. Verne W. Newton, author of FDR and the Holocaust, said that no writer discussing Hopkins has identified any secrets disclosed, nor any decision in which he distorted American priorities in order to help Communism. As Mark demonstrates, Hopkins was not in fact pro-Soviet in his recommendations to FDR; he was anti-German and pro-U.S. Any "secrets" disclosed were authorized. Mark says that at the time, any actions were taken specifically to help the American war effort, and to prevent the Soviets from making a deal with Hitler. "The case advanced for Hopkins’ guilt has two parts. The first is a highly specific claim that Hopkins was a Soviet agent code-named “19,” a high level source who appears in a Soviet cable deciphered by the U.S. National Security Agency. That claim, however, is entirely mistaken. The fallback position is that even if Hopkins is not “19,” there is nonetheless convincing evidence that he was a Soviet agent. That claim is based on evidence too weak to be the basis for a confident conclusion." In 1913, Hopkins married Ethel Gross, a Hungarian-Jewish immigrant active in New York City's Progressive movement. They had three sons: David, Robert, and Stephen, and though Gross divorced Hopkins in 1930 shortly before Hopkins became a public figure, the two kept up an intimate correspondence until 1945. In 1931, Hopkins married Barbara Duncan, who died of cancer six years later. They had one daughter, Diana. In 1942, Hopkins married Louise Macy (1906-1963), his third and final marriage. Macy was a divorced, gregarious former editor for Harper's Bazaar. The two continued to live at the White House at Roosevelt's request, though Louise eventually demanded a home of their own. Hopkins ended his long White House stay on December 21, 1943, moving with his wife to a Georgetown townhouse. In mid-1939, Hopkins was told that he had stomach cancer, and doctors performed an extensive operation that removed 75% of his stomach. What remained of Hopkins' stomach struggled to digest proteins and fat, and a few months after the operation, doctors stated that he had only four weeks to live. At this point, Roosevelt brought in experts who transfused Hopkins with blood plasma that halted his deterioration. When the "Phony War" phase of World War II ended in May 1940, the situation galvanised Hopkins; as Doris Kearns Goodwin wrote, "the curative impact of Hopkins' increasingly crucial role in the war effort was to postpone the sentence of death the doctors had given him for five more years". Though his death has been attributed to his stomach cancer, some historians have suggested that it was the cumulative malnutrition related to his post-cancer digestive problems. Another claim is that Hopkins died from liver failure due to hepatitis or cirrhosis, but Robert Sherwood authoritatively reported that Hopkins' postmortem examination showed the cause of death was hemochromatosis  due to hepatic iron accumulation from his many blood transfusions and iron supplements. Hopkins died in New York City on January 29, 1946, at the age of 55. His body was cremated and his ashes interred at his old hometown at the Hazelwood Cemetery in Grinnell, Iowa. There is a house on the Grinnell College campus named after him. ↑ Churchill, Winston S. (1948). The Grand Alliance. Rosetta Books. p. 23. ISBN 978-0-7953-0616-7. ↑ Hopkins 1999, p. 61, 67–9. ↑ Hopkins 1999, p. 128. ↑ Hopkins 1999, p. 139–41. ↑ Jean Edward Smith, p. 251. ↑ Herman, Arthur. Freedom's Forge: How American Business Produced Victory in World War II, pp. 69, Random House, New York, NY. ISBN 978-1-4000-6964-4. ↑ Goodwin 1994, p. 107. ↑ Herman, Arthur. Freedom's Forge: How American Business Produced Victory in World War II, p. 69, Random House, New York, NY. ISBN 978-1-4000-6964-4. ↑ Goodwin 1994, p. 37. ↑ Goodwin 1994, p. 212–13. ↑ Goodwin 1994, p. 458–59. ↑ Rhodes; Jordan; New York Times 9 Dec 1949, p. 22. ↑ "Soviet-Atomic Espionage". 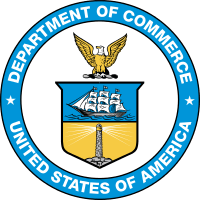 Joint Committee on Atomic Energy (US Congress): 184–192. April 1951. Retrieved October 20, 2011. ↑ Newton, Verne W. (October 28, 1990). "A Soviet Agent? Harry Hopkins?". New York Times. Retrieved May 18, 2010. ↑ Hopkins 1999, p. 144–145. ↑ Hopkins 1999, p. 147. 1 2 3 Arthur Goldschmidt. "Relief Programs and Harry Hopkins." In The Making of the New Deal: The Insiders Speak. Eds. Katie Louchheim and Frank Freidel. Harvard University Press, 1983. ISBN 978-0674543461. p. 191. ↑ Allison Giffen; June Hopkins, ed. (2002). Jewish First Wife, Divorced: The Correspondence of Ethel Gross and Harry Hopkins. Lanham, MD: Lexington Books. ISBN 978-0739105023. ↑ Goodwin 1994, p. 349–50. ↑ Goodwin 1994, p. 459, 480. ↑ Goodwin 1994, p. 31–32. Hopkins, June (1999). Harry Hopkins: Sudden Hero, Brash Reformer. Palgrave Macmillan. ISBN 9780312212063. Meacham, Jon. Franklin and Winston: An Intimate Portrait of an Epic Friendship Random House (2003). M. Stanton Evans & Herbert Romerstein, "Stalin's Secret Agents; The Subversion of Roosevelt's Government", New York: Simon & Schuster, 2012, Threshold Edition. Kimball, Warren F. "Franklin D. Roosevelt and World War II," Presidential Studies Quarterly Vol. 34#1 (2004) pp 83+.